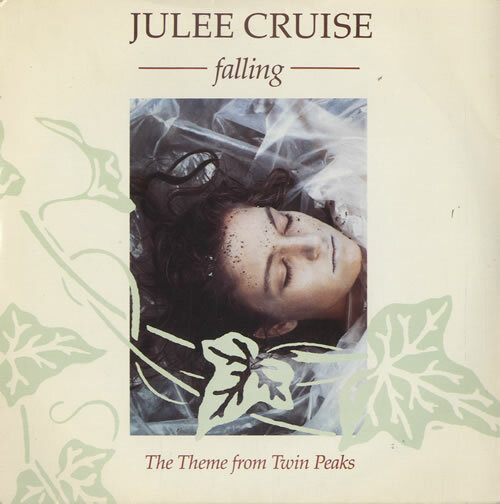 medium rotation ⟳: Cover Your Tracks: The Wedding Present, "Falling"
Cover Your Tracks: The Wedding Present, "Falling"
I never watched Twin Peaks since I've never been a fan of David Lynch. This has more to do with my general indifference toward film and television, though—music comes first for me, and sitting through slow American surrealism is not my cup of sweet tea. I will admit to liking the haunting theme song of the cult TV show, though, and while the vocal version, a 1990 hit for Julee Cruise, is so ethereal that it threatens to evaporate, it's still pretty, a good example of what the Cocteau Twins could sound like if they had wanted to sell out. This excellent cover is by the wonderful Wedding Present, one of the best British indie bands of the 80s and 90s ever to not-quite make it in America. Their early records featured furiously jangling guitars and a singer, David Gedge, whose strangled vocals sound like an angry, straight Morrissey who has been systematically dumped by every woman in the United Kingdom. Later records got louder (see 1991's gloriously frazzled, Steve Albini-recorded Seamonsters, one the all-time break-up albums), more polished, and catchier, but never made much of a splash in the States. Gedge's voice is certainly an acquired taste, and his theme rarely strays from L-O-V-E in its various stages of breakdown, but the level of quality is very high throughout, and Gedge also has a knack for picking great covers. He covered Pavement's "Box Elder" in 1990, when they were barely known, and was so fond of making excellent B-sides that in 1992, he decided to forgo a normal album release and instead release twelve singles that year, one each month, with an original on side A and a cover on side B. The Wedding Present version of "Falling" is the B-side of "Silver Shorts"; 1992's twelve singles have been compiled as The Hit Parade (get the 2003 edition), which is as good an introduction to the Wedding Present as any. Cover Your Tracks: J Mascis, "Circle"